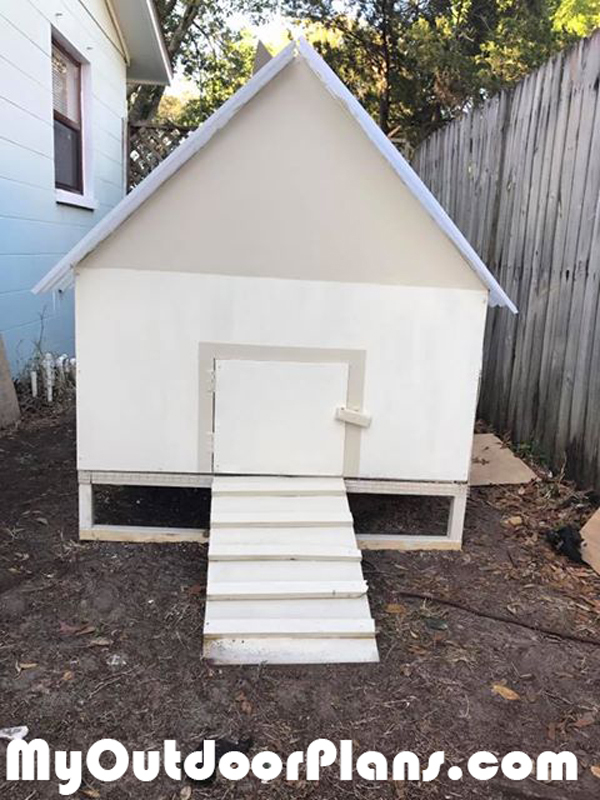 Thank you for the free chicken coop plan on your website. I made it! It’s not the same roof (shingles are expensive, so I chose the plastic roof). I am the only who put it all together so it took me 8 days to finish. I’m a mom of 3 and I work so it took a while. Lol. I already put the chicken inside. It cost me maybe around $120-130 because I had to repaint some of the room in the house as well. Thank you again!